Vera and I have different avenues toward pursuing our hobbies. Vera is drawn to activities that she can try to conquer. She’s in it for the challenge. I pursue hobbies that I think are fun. I’m not at a loss for things to do. Vera spending time shooting gives me a chance to pursue the activities I enjoy. 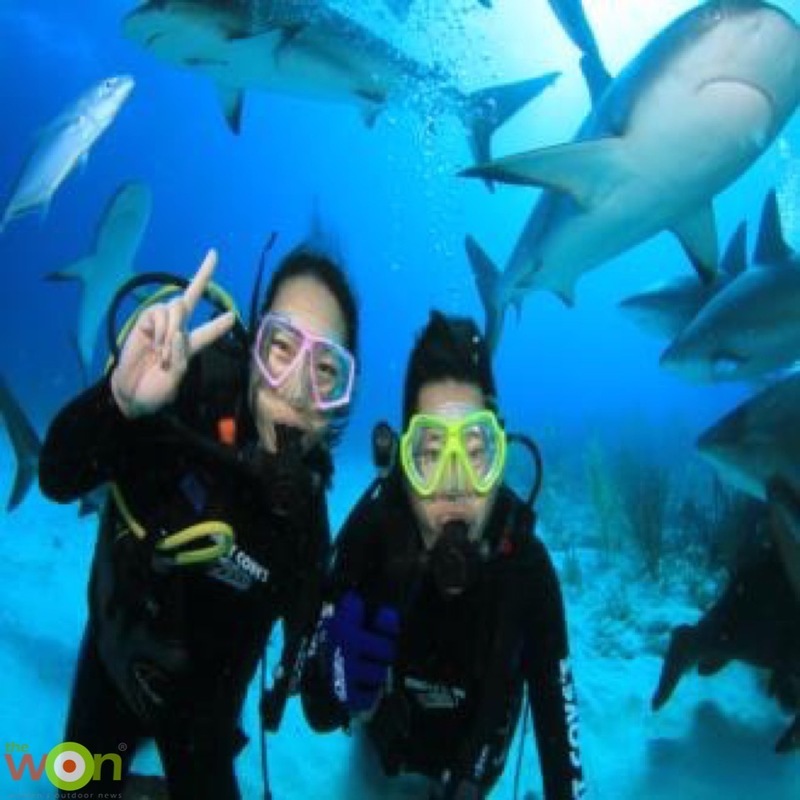 Scuba diving is one such activity. I’m a proficient diver. Initially, we gave scuba a shot as a family 20-plus years ago. Vera and I and our 2 daughters took a class from an instructor in our swimming pool. I’ve always believed in exposing Vera and our children to all sorts of different activities. Vera is more of a land animal. She didn’t care for scuba diving, and we decided not to take it up. But then Vera started getting busier with her shooting, so I decided to take scuba lessons and finish my certification. Around that time, our daughter, Christina, got her certification, too. I’ve been diving for about 10 years. Although my daughter enjoys dives in the Pacific off the California coast, I prefer to dive in the warm, clear waters of the Caribbean. I’ve gone on dives in Grand Bahama, Grand Cayman, Cayman Brac and Bora Bora. I also enjoy piloting and own a plane. I’ll fly commercial to Florida, where I store my plane, and then I pilot to my destination. I like activities with a lot of action, and diving offers that. It’s captivating to see all the tropical fish. It’s a totally different experience than being on the land. There’s a blast of color all around you, and at times fish are inches from your face. 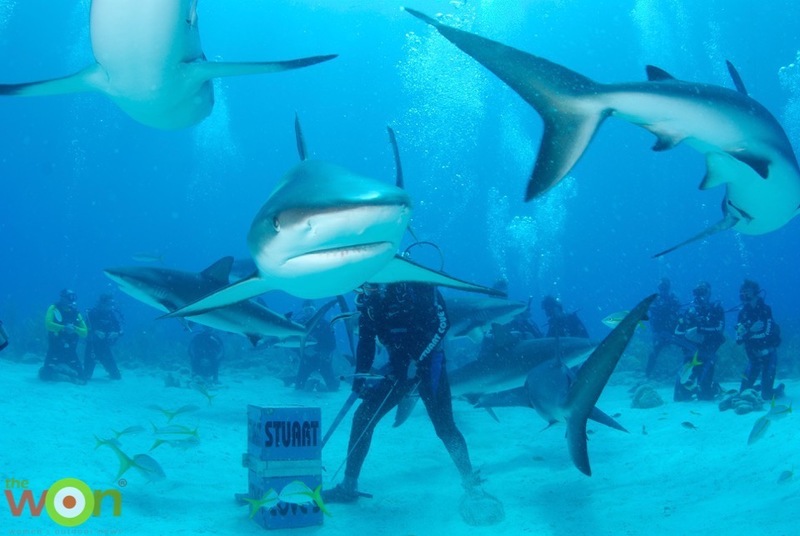 Three times, I’ve upped the adventure and gone on the shark arena dive at Stuart’s Cove in Nassau, Bahamas. I didn’t seek out this particular dive to conquer a fear or prove anything to myself. I did it because I thought it sounded fun. I’ll admit I was a bit nervous my first time, though. I asked a dive school employee whether anyone had ever been bitten during the dive. He said no, but regardless, I figured it was no bigger risk than driving on the freeway. Accidents happen, but that doesn’t keep me off the road. The divers are led to the ocean floor. There, you’re in the shark arena, which is a ring made by rocks. You kneel next to the rocks. 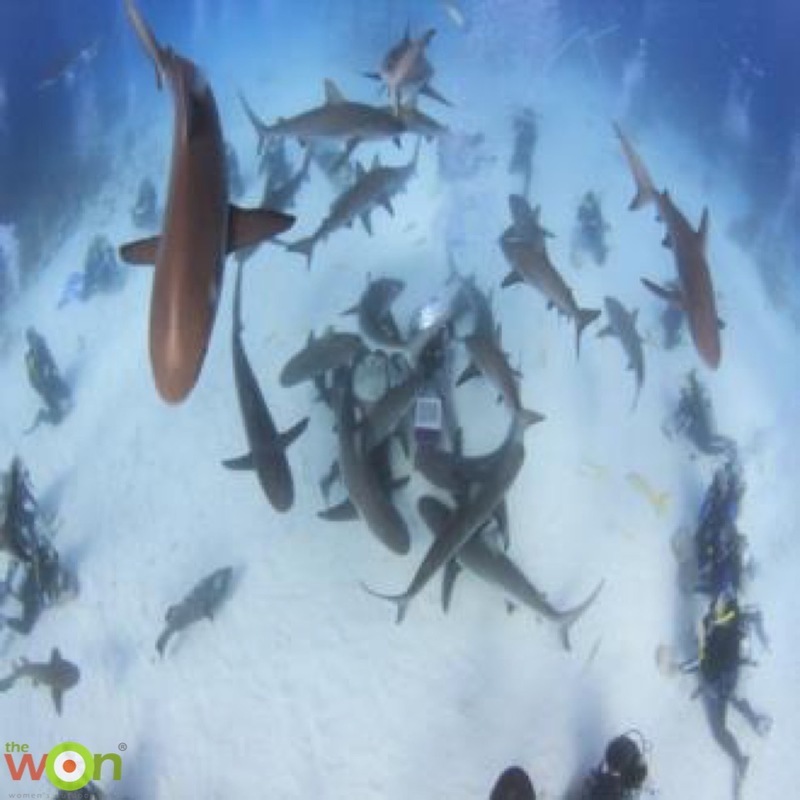 As you look around, you see reef sharks, but they’re still a ways off. Then the feeder, who is covered from head to toe in a chain mesh body suit, enters the ring with a case of fish heads. As soon as the feeder pops the lid off the case, the sharks smell the blood and go toward the feeder. The sharks begin swarming all around the feed diver, and the feeding frenzy begins. You are instructed to kneel and keep your hands tucked in. The first time I did this dive, I didn’t even dare to wiggle my figures. I watched with wide-eyed wonder. The sharks swim above you, around you and in front of you. It’s an incredible sight. The sharks are about 6 feet in length. Some of the sharks will bump into you while swimming in your vicinity. The feeder finishes up after about 10 to 15 minutes and then swims away from the arena. The sharks follow the feeder. 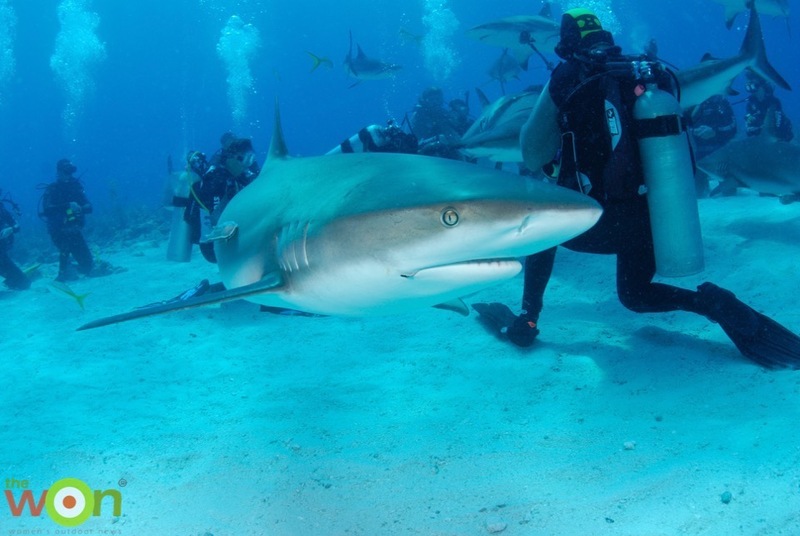 The divers are instructed to stay behind for a while and search the ocean floor to see if you can find any teeth the sharks might have lost while engaged in feeding. Eventually, the dive master signals for the divers to surface. At that point, the sharks are gone, and it is clear to surface. The last time I went on this dive, in March 2016, my daughter, Christina, joined me on the trip. Christina is a skilled diver with a higher rating than me. She has her night and rescue certifications. She enjoys diving off the Pacific coast in Monterey, California. I have joined her on a couple of those dives, but I’ve found I don’t care for the Pacific dives due to the reduced visibility, colder water and my concern about encountering a great white shark and being mistaken for a seal. Christina, though, likes the adventure of diving in cold water with limited visibility and kelp floating around her. I wanted Christina to experience the shark arena dive. It was a fun way for us to spend some time together. My daughters joke that as soon as I drop off Vera at the airport for one of her trips, I’ll leave for one of my adventures. Vera’s shooting career opened the door for each of us to pursue our interests. I don’t sit around bored when Vera is on the road competing. I’m the type of person that, if nothing exciting is happening around me, I’ll go out and find an adventure. Vera is very goal driven, and her satisfaction is in the journey. My satisfaction is the result. If I have to work my tail off to get an enjoyable result from a hobby, then forget it. I’ll find something else. Vera is attracted to pursuits that drive her to work hard. Her approach is admirable, but I think most people are like me and pursue hobbies that are fun and easy to enjoy.